It’s the central and north-central Wisconsin news experience you’ve waited for! Catch news, sports, weather, and more anywhere with the WSAW app for Android. Share content by email, text, Twitter or Facebook. 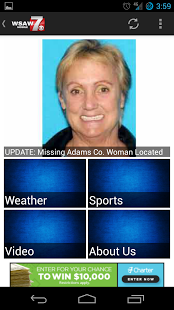 The WSAW app for Android keeps you in-the-know while you’re on-the-go! Fixed Facebook sharing on certain devices. 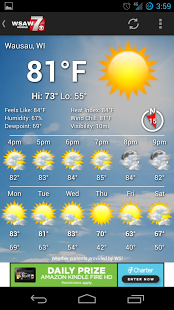 Fixes for the Weather tab.